The West is defined by water, its uses and its disposition. 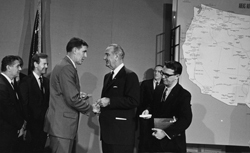 All Arizona members of Congress were dedicated to securing a water allocation for their home state. 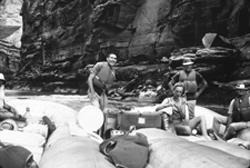 The correspondence, reports, memos, and telegrams in these files represent significant solutions to long-standing challenges to use of Colorado River water. 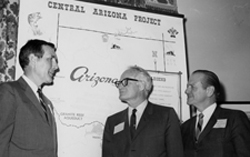 The development of the Central Arizona Project would eventually supply the growing cities of Phoenix and Tucson with water supply. The economic and financial impacts on rural and city dwellers and the rights of Native Americans are evidenced here, as well as the problems of water utilization in an arid area.